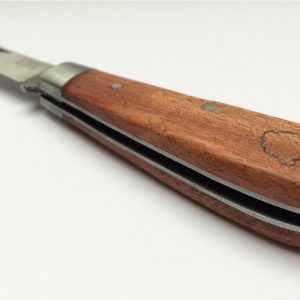 If you’re going to have a fire you need an Axe – whether it’s on a camp, a hike in the woods or for your woodstove at home, a well made, sharp Axe will become your main tool for sizing your range of fuel from kindling to larger logs. Having your own Axe means you get used to its weight and grip and get to keep it in good cutting condition which leads to more efficient and safer cuts. We’re proud to say they’re crafted by hand by one of the best axe making foundries in world, taking many blows with a hammer to produce the steel axe heads final shape. This is a long, more expensive method of manufacture but increases the density of the steel improving the axe’s durability. There are very few manufacturers left in the world with craftsmen who still command the technique and used correctly these axes can last for generations. 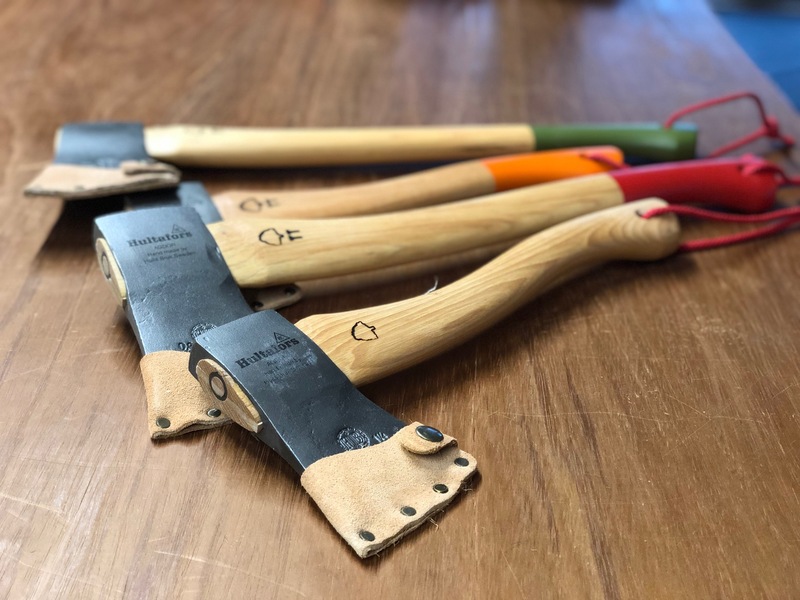 Available in two sizes – the larger Camp Axe is a great all round tool with a longer handle for tackling larger logs and small scale felling and the smaller Camp Hatchet which is ideal for preparing logs and kindling for the campfire. 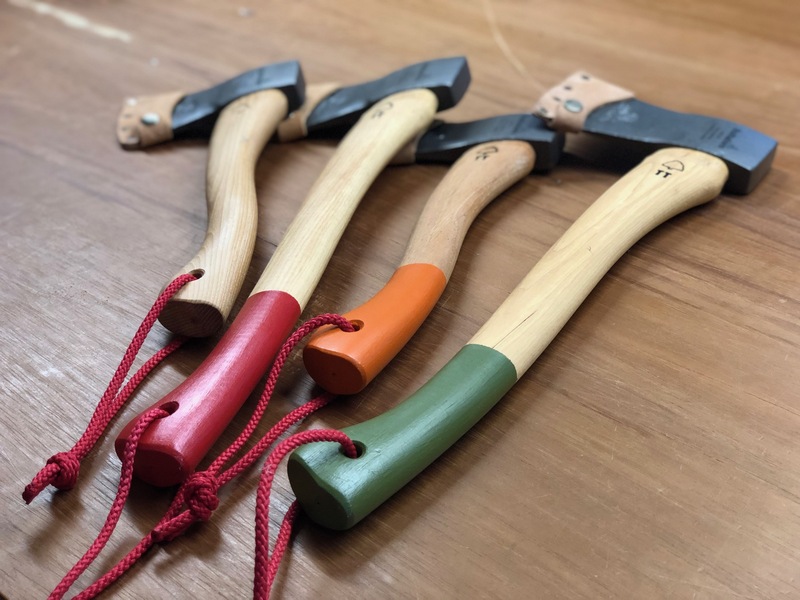 Axes are offered plain, with an oiled hickory handle or painted with coloured ends making them a little more easy to spot around the fire or woodland floor. Age Restricted Product – It is illegal for anyone under the age of 18 to purchase this product. By placing an order for this product, you confirm you are 18 years of age or over.